Alert Janeite Kelley let us know that NPR’s “Wait Wait…Don’t Tell Me” last weekend featured a question about P&P and Zombies during the “Bluff the Listener” segment. You can listen to the show online or download the podcast. Author Nora Roberts (you may have heard of her) has opened a B&B in an 18th-century inn in Boonsboro, Maryland, that features several rooms named after famous literary couples–but only those who lived happily ever after. Having written more than 170 novels under her name as well as J.D. Robb, Roberts knows how to set the scene for romantic interludes. Hee hee heeeeeee! One of the rooms is named for Elizabeth and Darcy, of course. And we guess this qualifies La Nora as an F.O.J. She has definitely hit upon one of the reasons why Janeites love Jane. But sometimes we can love Jane not wisely but too well. Remember the tidbit from the Times article last weekend? Alert Janeite Aad found a listing for the book, Jane Austen: An Unrequired Love. We’ll wait while you all stop throwing up in your mouths a little. Jane Austen is regarded as one of the greatest novelists in the English literary canon, and recent film and television adaptations of her works have brought them to a new audience almost two hundred years after her untimely death. Yet much remains unknown about her life, and there is considerable interest in the romantic history of the creator of Elizabeth Bennett and Mr Darcy. Andrew Norman here presents a new account of her life, breaking new ground by proposing that she and her sister, Cassandra, fell out over a young clergyman, who he idenfities for the first time. 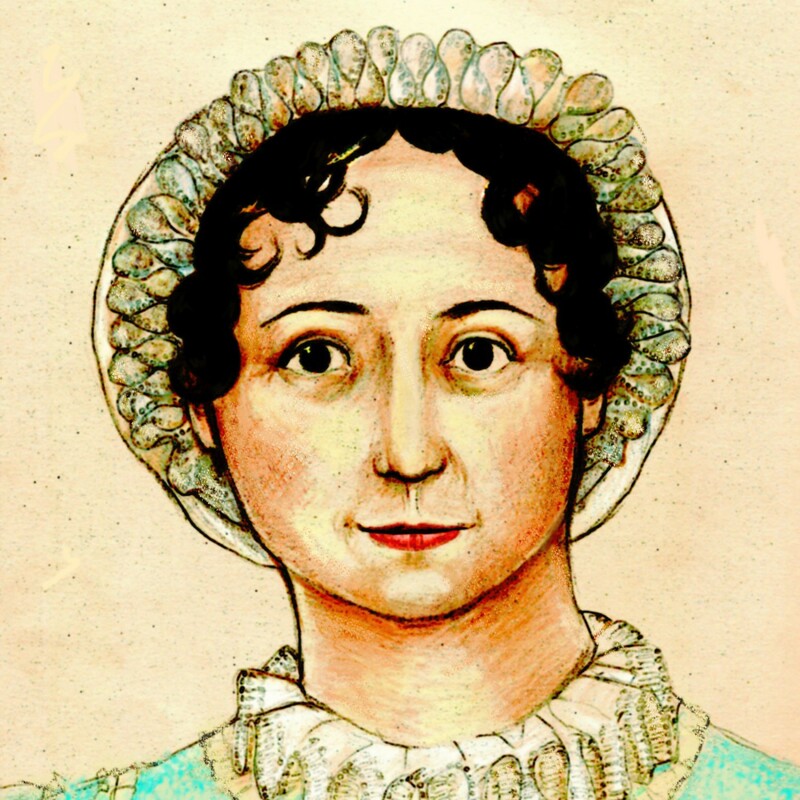 He also suggests that, along with the Addison’s Disease that killed her, Jane Austen suffered from TB. Written by a consummate biographer, Jane Austen: an Unrequited Love is a must-read for all lovers of the author and her works. A spork! A spork! Our kingdom for a spork! It’s out next month in the U.S. We shall retire to Bedlam, O Gentle Readers. That’s it for Friday Bookblogging, as the Editrix toddles off in search of Dorothy and a pot of soothing vanilla rooibos. Until next time, Gentle Readers, always remember: Books Are Nice!